On August 9, a member of the Islamic State of Iraq announced–via an intermediary on the Ekhlaas forum–the death of Sinam al-Ramadi. 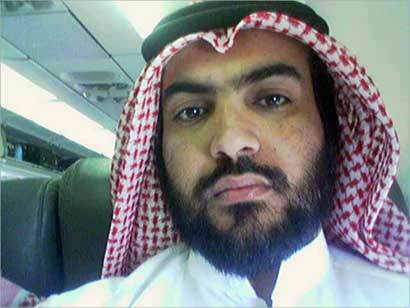 Sinam was an al-Qaeda member who operated in Ramadi and who participated on a number of forums, including Faloja. On the day of the announcement, an Ekhlaas member named Halima posted an eyewitness account of Sinam’s capture. The account is interesting for the light it sheds on al-Qaeda’s activities in Anbar province and for what it tells us about the hectic lives of forum fighters–Jihadi forum members who are also active militants. 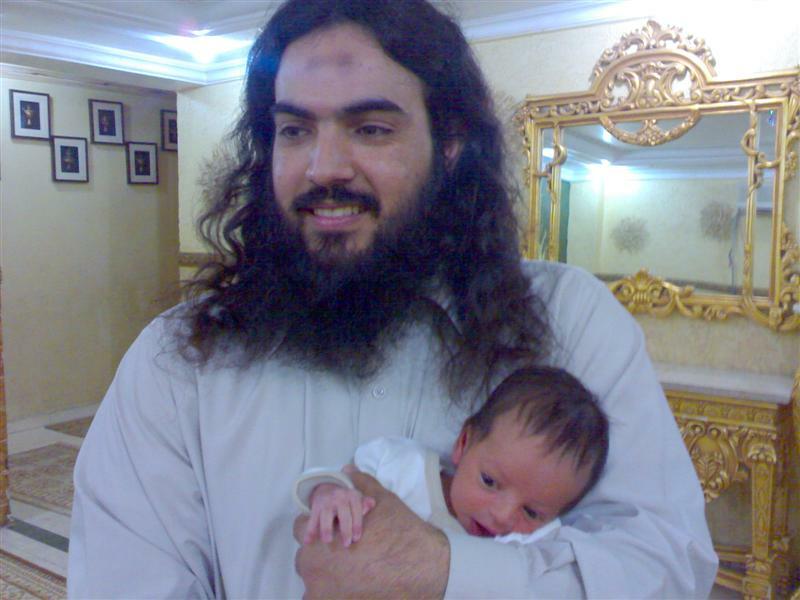 Halima writes that on Thursday, August 7 a certain Dr. Khattab `Ali al-Hayani was arrested in Haqlaniya, near Haditha. U.S. troops and Iraqi police had discovered evidence in Hayani’s home proving that he was Sinam al-Ramadi, one of the members of al-Qaeda in Ramadi. Sinam had left Ramadi for Kirkuk, Diyala, Bayji, and finally Haditha, where he was “considered one of the al-Qaeda returnees to the regions of western Anbar.” (I think this means that he was an al-Qaeda member in Anbar who had fled following the success of the tribal Awakening and later returned.) It was already known that Sinam had created al-Qaeda cells living in the environs of Haditha and that he had a death sentence passed against him for killing a Christian clergyman in Mosul. Sinam was arrested after being followed by an American spy plane, which had spotted him after an Iraqi Hummer exploded between Barwana and Bayji. Sinam was stopped near the Haditha dam and badly wounded after he and his comrades resisted arrest. Halima relates that an American general said to him, “Are you the one who hassled us so much on the Internet?” Sinam couldn’t have been more than 24 years old, according to Halima. Still, Halima’s details about Sinam’s route fit with what we know of al-Qaeda’s recent migration out of Anbar. And her story of Sinam’s arrest also dovetails with recent news about the al-Qaeda cell operating in Haqlaniya. 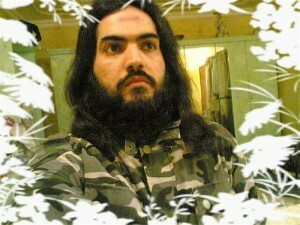 Today we continue our look at a Kuwaiti cell and how its members transitioned from forum fighters to foreign fighters. When we left off, Badr al-Harbi and Bawasil had returned to Kuwait from the front in Afghanistan via Iran, entrusted with a special mission by Abu al-Layth al-Libi, a senior al-Qaeda leader. They were delayed in carrying out their task by Iranian, and then Kuwaiti, security forces. The latter, according to al-Furqan al-Junubi’s account, had tortured them and confiscated their passports. After being released, Harbi and Bawasil stayed in Kuwait a full year to complete their special mission: gathering money, clothes, and food for the Jihadis in Afghanistan. In this, they relied on their network of friends, many of whom were already committed to the cause. Yet Harbi and Bawasil’s efforts aroused the suspicions of other Jihadis, who wrote the brothers in Afghanistan and told them that they were spies. They even made films that portrayed Harbi and Bawasil in a negative light. Upon completing their task, Harbi and Bawasil wanted to return to the front in Afghanistan, but their passports had been confiscated. Nevertheless, they were both able to get new passports. Harbi and Bawasil then went with their families to Mecca and returned without incident. After returning to Kuwait, Harbi and Bawasil asked the Jihadis in Afghanistan about the route to the front. The Jihadis told them that it was “broken,” but this, al-Furqan al-Junubi comments, was only because they had believed the bad rumors that had been spread about Harbi and Bawasil. Harbi suggested the two travel to Iraq instead, but he was hesitant to go because he was not sure he would be guaranteed a martyrdom operation. Harbi and Bawasil soon met a coordinator and obtained a guarantee of safe passage from him, but they did not end up using him. At this time, Harbi decided he wanted to marry for the second time, but wasn’t sure it was right to do so as a mujahid. Bawasil assured him it was, and so he did. One month after Harbi’s marriage, a message came from Abu al-Layth al-Libi vouching for the integrity of Harbi and Bawasil. This meant the two could now travel to Afghanistan. But personal circumstances prevented Harbi from traveling to Afghanistan with Bawasil, who was anxious to leave because the government was pursuing him. Bawasil first went to the United Arab Emirates with one of his close cousins (on his mother’s side). The Jihadis (it is unclear if they were in the Emirates or Afghanistan) told Bawasil that they only wanted him and not his cousin, so the latter returned to Kuwait. Bawasil had to wait four days in the airport because of snow in Iran (indicating that Iran again served as his transit point for Afghanistan). Bawasil succeeded in finding the brothers (presumably in Iran) and soon found a coordinator, but they had stopped using the old route. Harbi waited four months to find new way to Afghanistan, but failed. It was around this time that Harbi met a Jihadi from Algeria who told him how to go to Iraq. Al-Qaeda Leadership – Abu al-Layth al-Libi personally requested Harbi and Bawasil to gather funds and supplies for the Jihadis in Afghanistan. He also personally intervened in the rumor campaign against them. Support Networks – The way Harbi and Bawasil went about accomplishing their task for Libi is instructive. Like Tupperware salespeople, they relied on their personal network of friends rather than reach out to anonymous donors. But this did not protect them from allegations of spying, a consequence of their mission’s secrecy. (This is a constant problem for clandestine terrorist groups–see Jake Shapiro’s work in this regard.) On another subject, Bawasil tried to bring his close cousin to Afghanistan, reinforcing the idea that friends and family of dedicated militants are more likely than others to be involved in the Jihadi Movement. Security Lapse – The Kuwaiti government was monitoring the two militants, as indicated by Bawasil’s eagerness to escape their scrutiny. So how in the world did they regain their passports? Transit – As in part 2, Iran is mentioned as a transit point to Afghanistan. But this time we have the added transit point of the UAE. Moreover, travel coordinators are twice mentioned, once with regard to Afghanistan, the other with regard to Iraq. Family Life – Even though Harbi knows he will die as a martyrdom operative, he still wants to marry a second wife. As I said last post, none of this is a big revelation (with the exception of Iran). But it really adds texture to the recent abstract debates about terror networks and helps to weigh their relative merits.